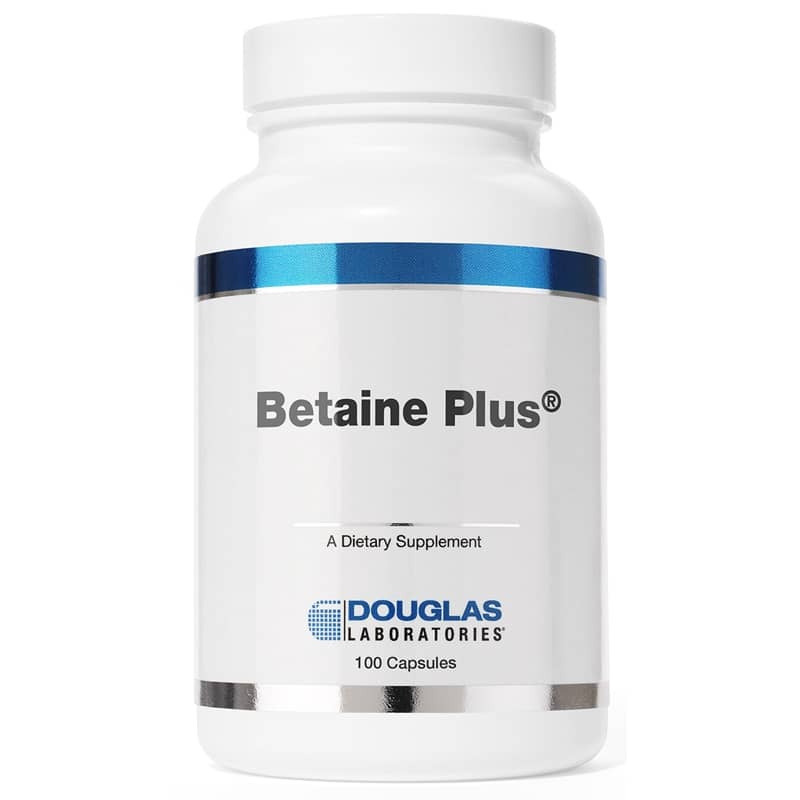 Betaine Plus from Douglas Labs supplies 650mg of Betaine HCl and 140mg of Pepsin in each easy to swallow capsule. Active pepsin is a proteolytic enzyme which splits large protein molecules into smaller polypeptides. Additionally, hydrochloric acid acts directly on dietary proteins by loosening up their macromolecular structure (denaturing). Gastric hydrochloric acid also helps support reducing poorly available trivalent ferric iron into more soluble and absorbable divalent ferrous iron. Another physiological role of gastric hydrochloric acid is to support protecting the body from food-borne enteric issues through its antibacterial properties. 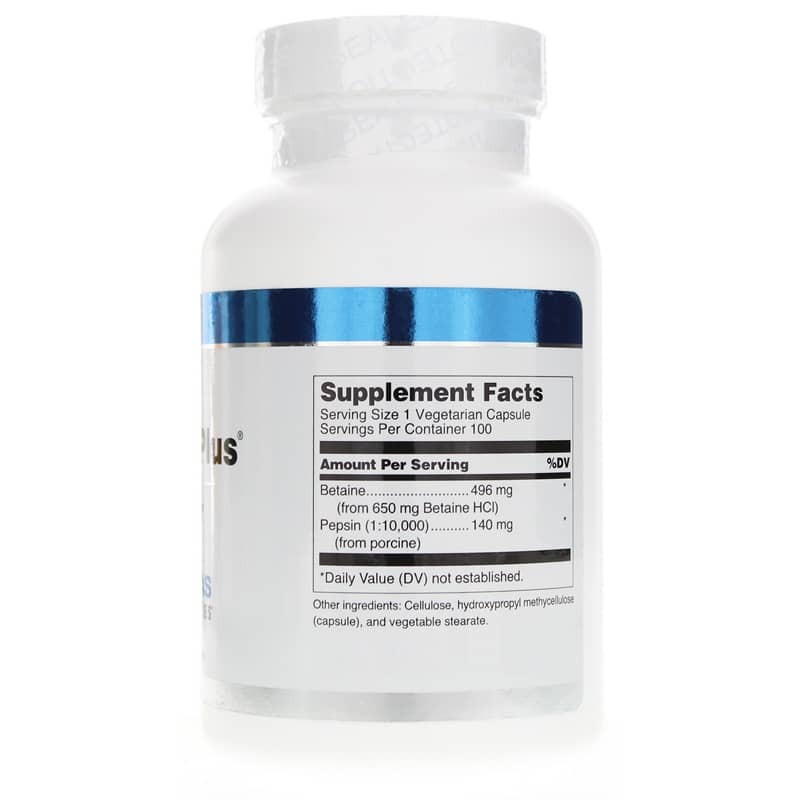 Other Ingredients: cellulose, hydroxypropyl methylcellulose (capsule), and vegetable stearate. Contains NO: yeast, wheat gluten, soy, milk/dairy, corn, sodium, sugar, starch, artificial coloring, preservatives or GMOs. 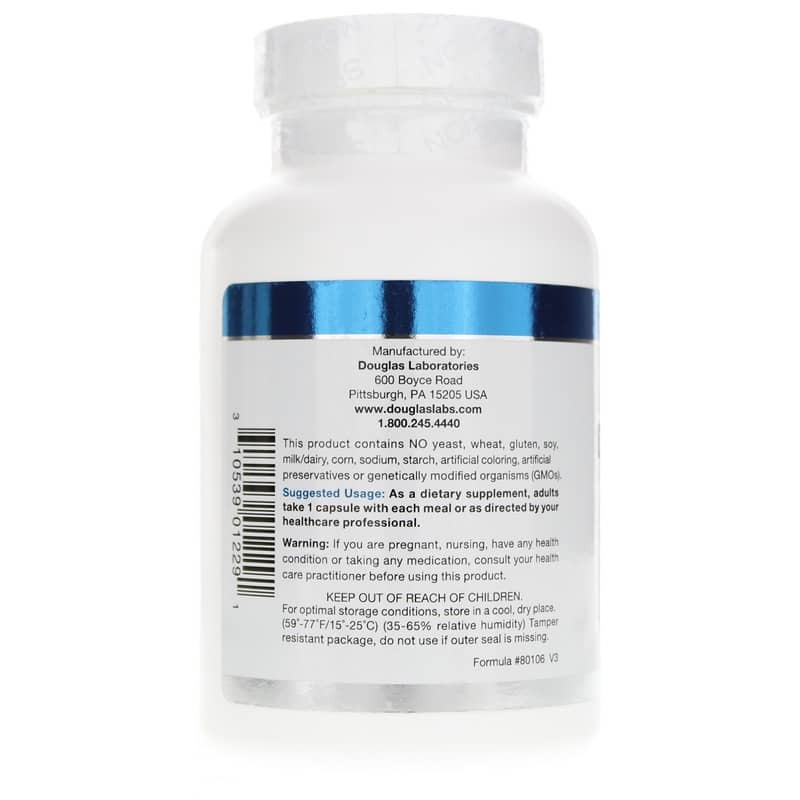 Adults: As a dietary supplement, adults take 1 capsule with each meal or as directed by your healthcare professional.